Bring the gentle and inviting tones of pastel colours into your office or classroom today with our A4 Coloured Paper. 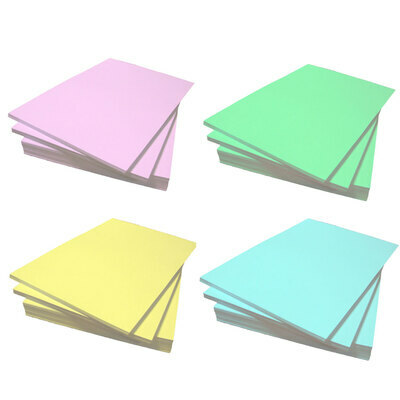 Available in four different pastel tones - blue, pink, canary yellow and green, these large packs are ideal for busy environments and can be used for a wide variety of tasks. 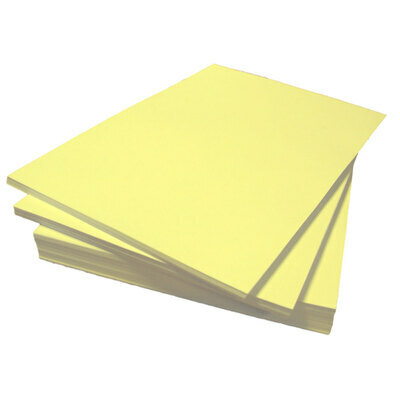 From arts and crafts through to filing, each 80gsm piece of coloured paper has a high-quality finish that promises to stand the test of time and look professional in any environment. Ideal for large classrooms and nurseries or simply as an addition to your stationery cupboard, these large pack of coloured paper promise to become essential to you and your colleagues. This colourful pack is ideal for organising and Filing your most important documents while also being a great tool for your Arts and Crafts projects. Why not pair these with our Vivid Card Pack for the ultimate crafting session or simply grow your Stationery stock pile? Oh, and don't forget to stock up on Ballpoint Pens for all those essential notes that need to be backed by vibrant colour.